This video focuses on the theme of diplomats and rescue and relates some of the best-known cases of aid provided by consulates and embassies including the efforts of Aristides de Sousa Mendes, Raoul Wallenberg, and Chiune Sugihara. Diplomats in countries throughout Europe helped Jews escape persecution by issuing visas and other travel paperwork that allowed Jews to flee Nazi-occupied territory. Featured in the video are the testimonies of Israel Kipen, Per Anger, and Henri Deutsch who recount their personal experiences of rescue during the Holocaust. Aristides de Sousa Mendes may not be a familiar name, but several people, along with their descendants, who owe their lives to him, are working to change that. A Portuguese diplomat stationed in Bordeaux, France, when the Nazis seized the country in 1940, Sousa Mendes saved an estimated 30,000 people by issuing Portuguese travel visas. A Roman Catholic and father of fifteen, Sousa Mendes issued many of the visas himself at great personal risk, not only in defiance of the Nazis but also of his own country’s orders. Once his superiors learned of his actions, they ordered Sousa Mendes back. He was dismissed from his office and denied pension benefits. 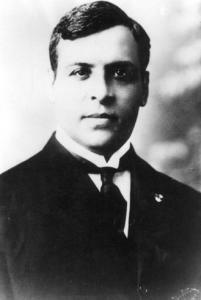 Sousa Mendes eventually died in poverty in 1954. The diplomat and his efforts remained unknown even in his own country for years. However, in 1966, Yad Vashem granted Aristides de Sousa Mendes the honorific Righteous Among the Nations for his efforts to save Jews. Since then, the Portuguese government formally apologized, and most recently a new organization, the Sousa Mendes Foundation, formed by descendants of those he saved, is working to raise awareness about Portugal’s hero, starting in his own country. The Visual History Archive itself contains 5 testimonies, in English and French, which discuss the work of Sousa Mendes. Sousa Mendes’ son, Pedro, who gave his testimony in French, discusses his father’s work at length. Read the New York Times story about Aristides de Sousa Mendes and the Sousa Mendes Foundation’s campaign.